While the Switch eShop sees fewer new games than last week – ten, compared to last week’s whopping sixteen – it’s a no less exciting line-up, with more than a few big hitters. Even this week’s NeoGeo title is a doozy – Metal Slug X (£6.29) is a fan favourite, being a remix of MS2 with new power-ups, revised enemy attack patterns and new music. It even went on to gain a standalone PSone release, arriving late in the system’s life. 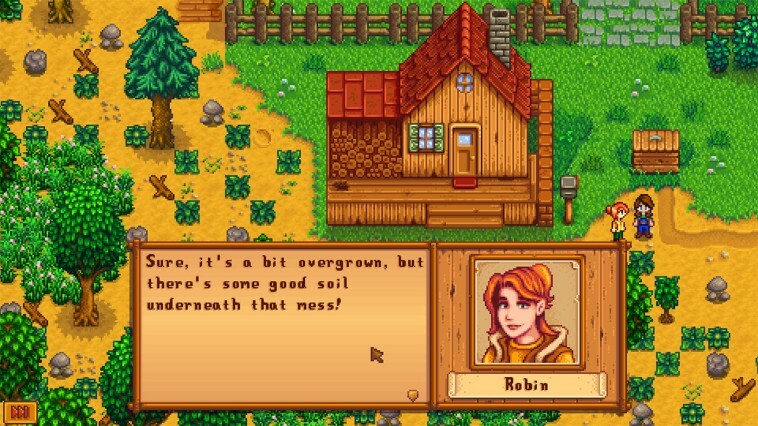 As for the Switch’s biggest release of the week, well, it’s hard to pinpoint – Stardew Valley, Oxenfree, Lovers in a Dangerous Spacetime and Axiom Verge all gained glowing reviews on other formats. Stardew Valley (£10.99) was born out of one man’s desire for a new Harvest Moon that sees the farming/RPG hybrid return to its roots. The result is the best unofficial Harvest Moon game ever, chockablock with personality. It’s a huge, spare-time sapping, adventure with lots to see and do. It’s also expertly designed, with most chores feeling less-chore like thanks to time-saving techniques. Story-driven adventure Oxenfree (£15.99), influenced by classic teen movies and coming-of-age shows, is a modern-day classic too. Axiom Verge (£14.99) meanwhile is knocking on a bit, first released on PC and PS4 in 2015, but it’s still one of the best Metroidvania games out there. Nintendo Life awarded it a perfect 10/10 earlier this week. Lovers in a Dangerous Spacetime (£11.99) is very different to the games just mentioned. In fact, it’s different to anything out there – a co-op space shooter based around ‘twitch gameplay’ that forces you to plan ahead and communicate with your couch-based wingman. 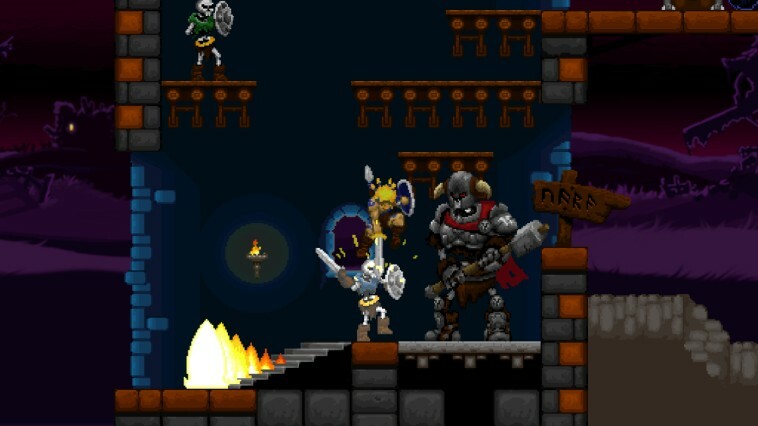 Then we have Tumblestone (£11.99) and Völgarr the Viking (£8.99 – also out on Wii U), two games that may ring a bell. Cutsey match-three puzzler Tumblestone even managed to secure a physical release on Wii U. It isn’t much to look at, but it still gives the likes of Tricky Towers a run for their money. As for Völgarr the Viking, we regrettably never got around to reviewing the Xbox One version, but can vouch that it nails the look and feel of a typical 16-bit action platformer perfectly. It’s the spiritual successor to Tatio’s Rastan, pretty much. Then we have two new games of unknown quantity – Earth Atlantis (£13.49) and Tower Of Babel (£8.99). Just one review of auto-runner Tower Of Babel is currently online – a miserable 4/10 from Nintendo Life. Earth Atlantis meanwhile is an underwater shooter with sketch-book style art direction. With the eShop filled to the gills with new releases, the lack of pre-launch coverage for these two is a little odd. 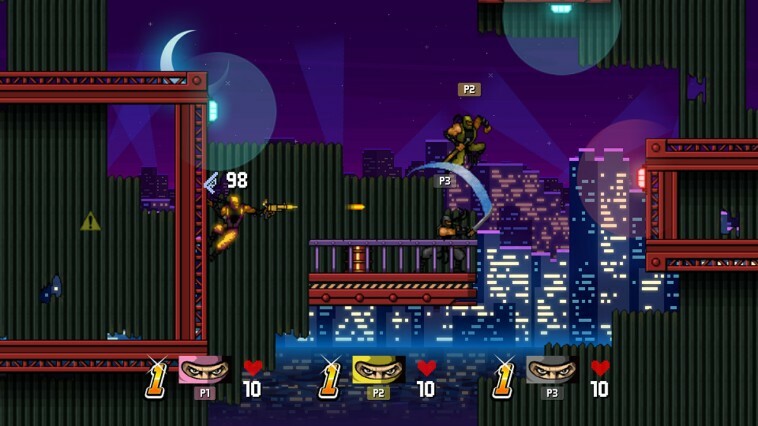 This leaves us with Rising Star’s Ninja Shodown (£9.99), a multiplayer arena slash ’em up presented with a dollop of ‘90s nostalgia. In addition to Völgarr the Viking, the Wii U also gets two more Turbografx re-releases – Double Dungeons and good old Vigilante, at £5.39 each. A Just Dance 2018 demo is also due, both on Wii U and Switch. It’s a busy week for the 3DS too, with a double-whammy of big name games from Nintendo. 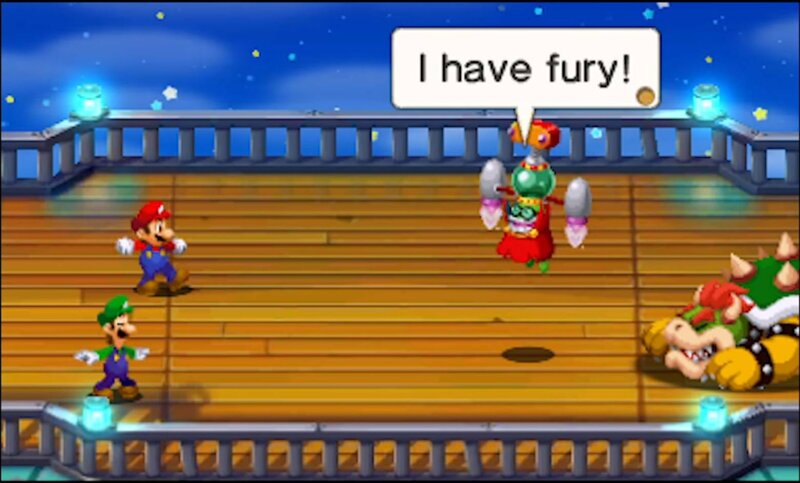 Mario & Luigi: Superstar Saga + Bowser’s Minions (price TBA) is a remake of the GBA’s original Mario & Luigi. Reviews scores are a mixture of 7s and 8s so far. “It’s not in the range of Metroid: Samus Returns in terms of recreating a classic from the ground up, but it may be enough to satisfy fans of the series that may have been turned off by recent, weaker efforts such as Dream Team and Paper Jam,” said Digitally Downloaded, who opted for a 3.5/5. Reviews of LAYTON’S MYSTERY JOURNEY: Katrielle and the Millionaires’ Conspiracy (£34.99) are slower to surface, suggesting Nintendo doesn’t have all that much confidence in Lady Layton. Backing this up, the few reviews out there are hardly full of praise. God is a Geek gave it a lukewarm 6/10, panning the decision to use obtuse riddles rather than legitimate puzzles. Card battler Culdcept Revolt (£39.99) is also out on 3DS this week, as is Symphony of Eternity (£7.19) – another one of those 2D JRPGs from Kemco that come and go without barely a whisper. Woosh, and there it goes. 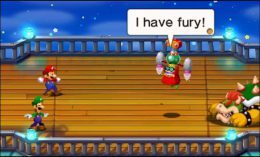 Next week: Story of Seasons: Trio of Towns, Sine Mora EX, and The Flame in the Flood.